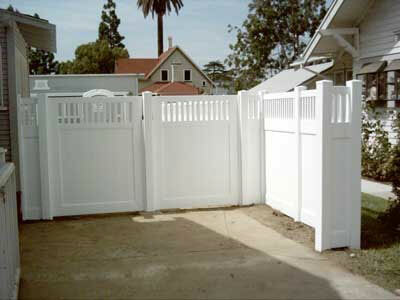 Country Estate Fence Company, Inc. offers Southern California the best value in vinyl gates. Our Country Estate® vinyl gates are made from 100% virgin PVC compounds, which are designed to resist blistering, fading, flaking, peeling, rotting, and corrosion. They're available in an array of beautiful styles, colors, and finishes to match any of our fence styles, and built with stainless steel/powder coated hinges and latches. 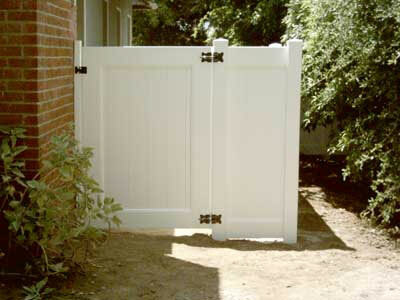 Also, our gates feature Country Estate's patented extruded gate sockets, which are more durable than molded ones and completely hidden, and are backed by excellent manufacturer warranties. Long-lasting, low maintenance, and attractive, Country Estate vinyl gates are an excellent alternative to traditional wooden gates. 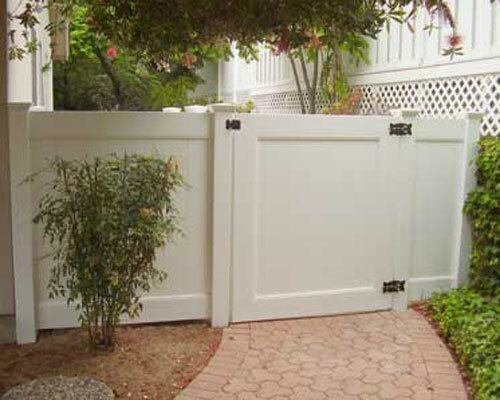 At Country Estate Fence Company, we keep our prices competitive and work hard to ensure our customers get the best vinyl gate for their residential or commercial setting or needs. 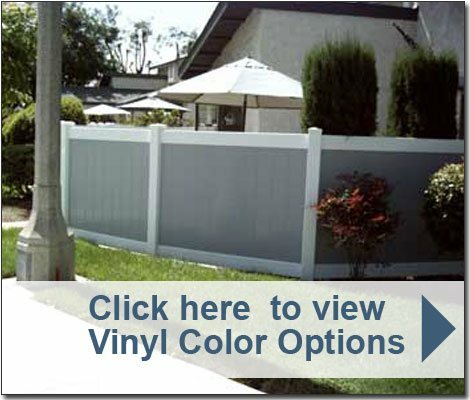 We have over 30 years of fence installation experience and are skilled at customizing our vinyl gates to fit and complement driveways, walkways, and pool areas. 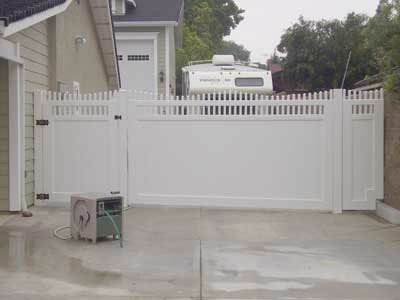 We welcome vinyl gate projects of any size and will always comply with any relevant building codes or HOA CC&R requirements. 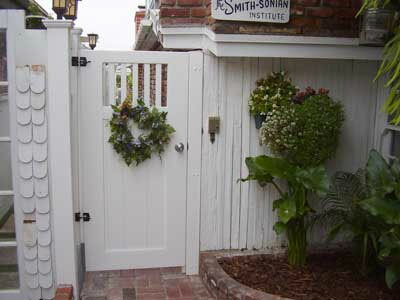 Call today to schedule a free onsite estimate for your gate installation project in Orange County, Los Angeles, or Riverside. Several Saddleback Park residents have stopped by to comment on my fence. I have shown them the difference in quality. You should be receiving requests.